The email message shown in the screenshot above is not a genuine DHL message. While it shows DHL trademarks and graphics it is actually a phishing scam. 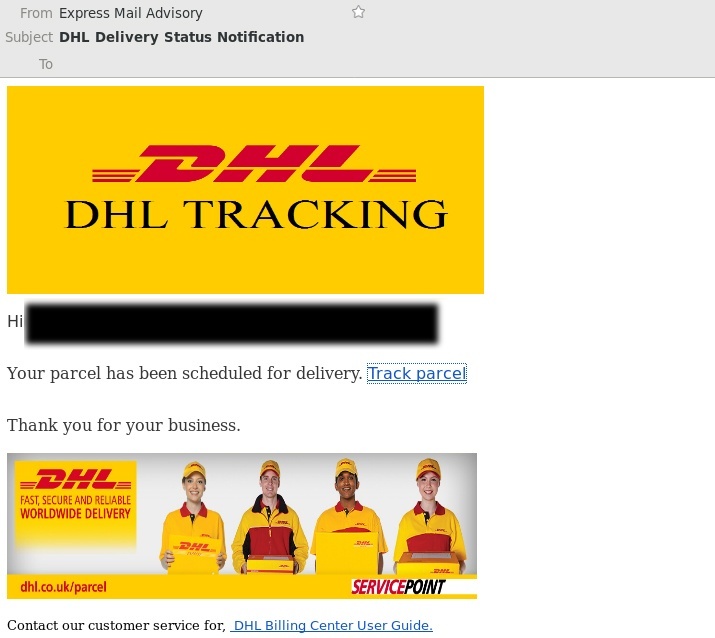 A fake DHL email containing malware is putting Australian inboxes at risk. 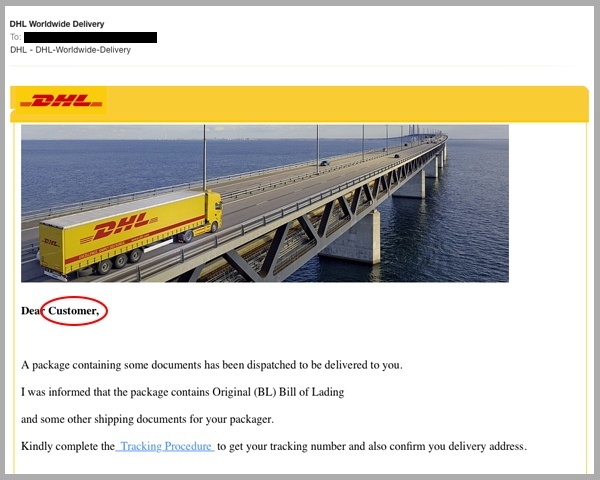 MailGuard have successfully identified and blocked an email malware scam circulated by cyber criminals impersonating global logistics giant DHL. 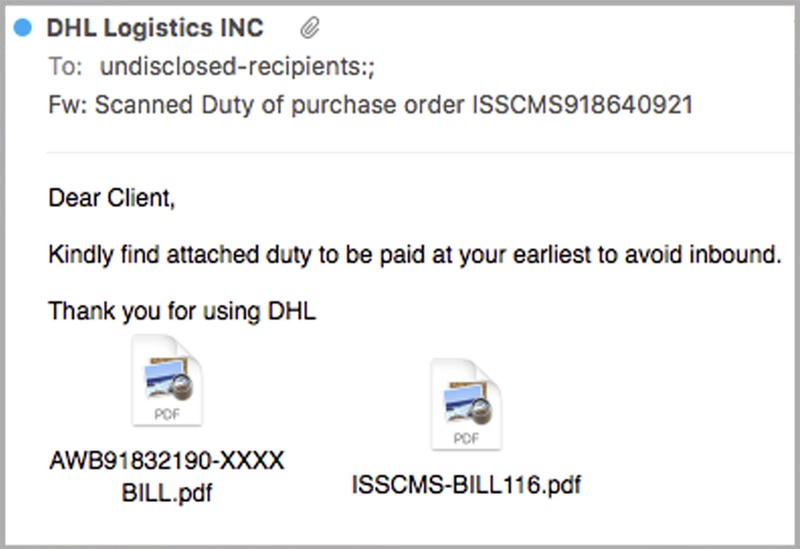 MailGuard have successfully identified and blocked an email malware scam circulated by cyber criminals impersonating DHL today. 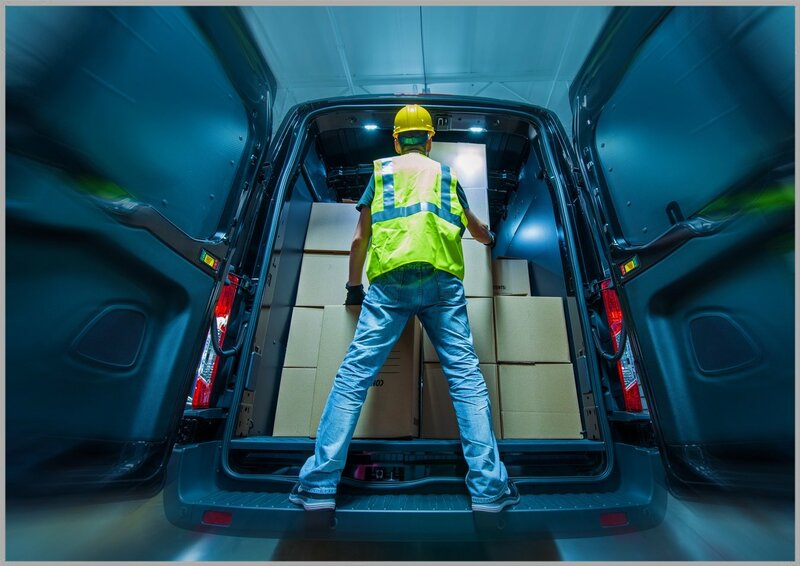 This outbreak has been widely distributed alerting the email recipient of a package which has been supposedly dispatched to be delivered to them.